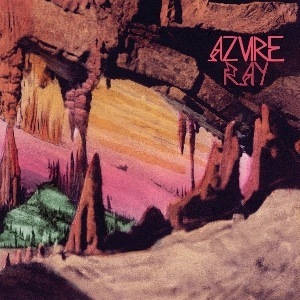 Azure Ray’s new album, As Above, So Below is a beautiful six-track contemplation on nature. The title refers to a principal in Hermeticism, that everything emotional, physical, and mental is connected. This principal winds throughout the album, as the lyrics conjure images of nature, patterns, and cycles. Even the digital effects sound airy and spacious. Azure Ray’s Orenda Fink and Maria Taylor have created a stunning album, starting with the first track “Scattered Like Leaves.” It starts off with a wide-open synth, and up come the vocals like the whispers on the plains. The song moves slowly, meandering through the verses and chorus. And finally, the album’s theme comes through with the lyrics, “There’s love everywhere / there’s sadness everywhere, so I keep movin’.” Another stellar track is “The Heart Has Its Reasons,” a lonely, piano-soaked story of separation. Again, the theme shows up in this song with the lyrics “You can’t change nature’s wishes.” Undoubtedly, this song is our favorite on the album, even if it is heart-wrenching. The other four songs are exceptional as well. Each track fits carefully within the album’s theme and completes a full picture of connectedness, of darkness and light, life and death, and love and loss.